History of slums in Kolkata dates back to the colonial era when Calcutta used to be the financial capital of East India Company. 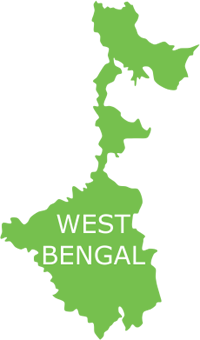 Rapid urbanization and industrial growth during the 20th century led to the migration of cheap labour from different districts of West Bengal and adjoining states. Due to lack of adequate and affordable housing, these people settled around industrial sites and vacant areas along roads, canals, drains, railway lines and other marginal lands giving birth to squatter settlements. Even after 150 years, slum dwellers account for one-third of Kolkata’s total population of 4.5 million (as per Census 2011). Over 40% of these people have lived in slums for two generations or longer, and more than half constitute migrants from the hinterland. According to reports, there are 2011 registered and 3500 unregistered slums in Kolkata housing a population of about 1.5 million. Majority of these slum dwellers, working as domestic workers, daily wage labourers, factory workers, rickshaw pullers, hawkers and security guards, live below the poverty line. The overcrowded and dilapidated physical environment in bustees and squatter settlements further leaves them struggling for survival. Bore well drinking water, poor drainage, unhygienic public toilets and lack of other basic amenities make the slums of Kolkata unfit for human habitation. Such deplorable economic and living conditions are detrimental to the dignity of slum dwellers and make them vulnerable to health risks, such as diarrhoea, dysentery, worm infestation, scabies, malaria, typhoid, dengue, tuberculosis, UTI/RTI, and skin disorders. Understanding the need of the hour, Smile Foundation has joined hands with Deutsche Bank to render free-of-cost healthcare services at the doorstep of slum dwellers across Kolkata. Around 40 slum areas are targeted under this initiative, including Camp Bagan, Coal Berth, Sona Dingi, Goragacha, EJC Quarter, Dombasti, Jain Kunj and Dhapa Durgapur. Smile Foundation’s Smile on Wheels mobile hospital is deployed in these areas with a team of medical experts to provide medical consultation, diagnosis, lab testing, and medicine distribution facilities to the unwell. In addition, the team provides referral services to patients with any serious threat to health. Besides offering medical care, the Smile on Wheels mobile hospital aims to encourage health-seeking behaviour among underprivileged families and children. The Community Mobilizer holds the responsibility of educating the slum dwellers on the importance of hygiene, healthcare and nutrition through various IEC activities. Special workshops and community meetings are held to sensitise pregnant and lactating mothers on ANC/PNC, breastfeeding, immunization and other related issues; considering the high maternal and infant mortality rate in slum households. Providing healthcare services to at least 3.5 lakh families and children within a year. Bringing the government and the communities closer through referral services. 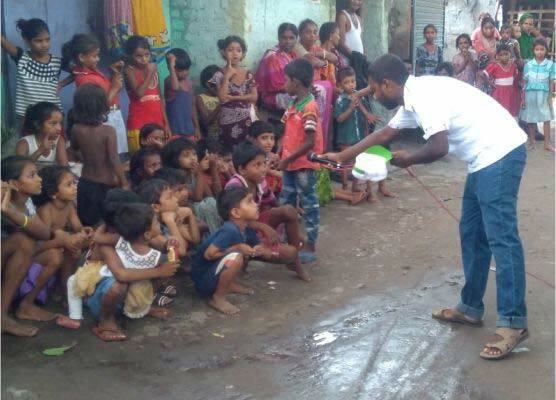 IEC activities conducted to sensitise the slum communities on the importance of basic healthcare and hygiene and develop health-seeking behaviour in them. Special focus on pregnant women as they fall into the high-risk group category. 124 pathological tests were conducted so far.